Once again, my photographic inspiration comes from my weekly run to Russo’s. I remember seeing this bizarre fruit a year ago, and reading that it’s only ripe for a brief time, so I figured I’d better get a picture while I could. 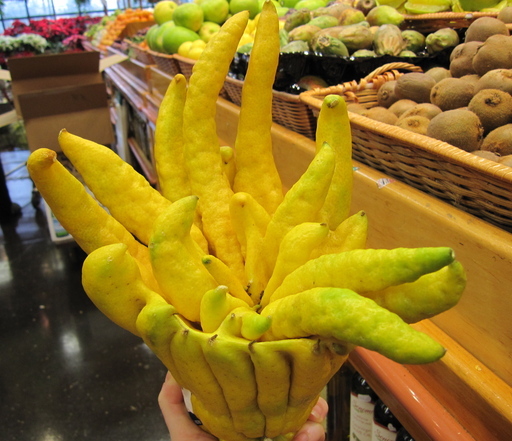 My first shot was of the whole basket of these things, but that didn’t really show how strange they are. What I am holding in my hand here is just one fruit. Doug and I did a little geocaching this afternoon in a couple of parks in the Auburndale village of Newton. We found all three caches too. 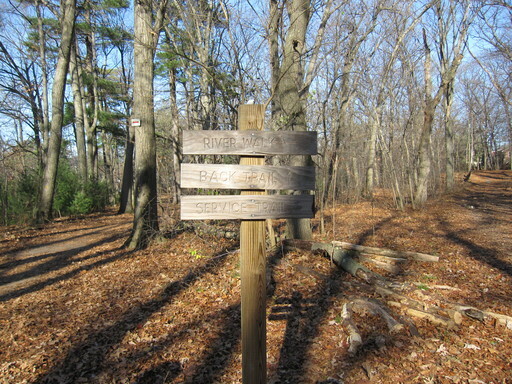 On one of the trails, we found this directional sign, pointing you to the three possible trails you could follow. You may notice, however, that there are actually only two. 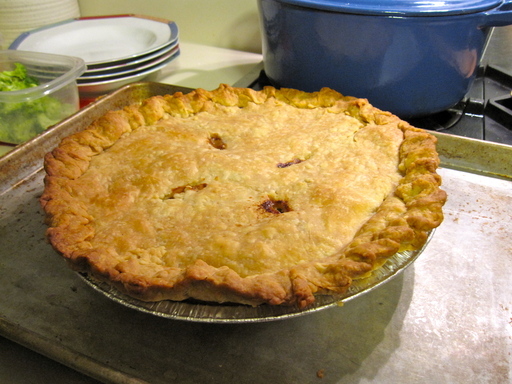 turkey salad, turkey soup, turkey sandwiches and my favorite….turkey pie. Doug made two today, and put on in the freezer for future tastiness. This was a particularly delicious bird, ordered from the meat CSA that we joined. It was a humanely raised, free range, naturally fed bird, and it showed in the eatin’! Thanksgiving is one of my favorite holidays. If you don’t get hung up on the whole Pilgrims vs Native people thing, and just looks at it as a day of thanks to be with friends and/or family, it’s just a really nice day. No religion, just a day to be thankful. 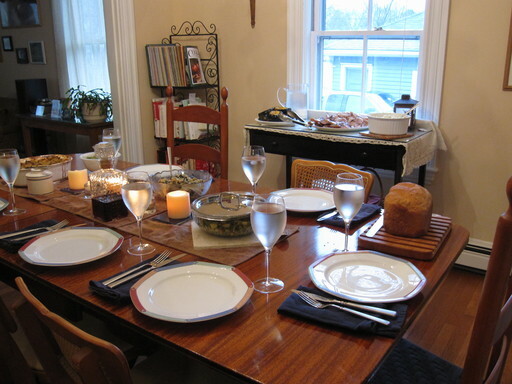 Doug cooked up an amazing and fabulous and many other superlative words dinner for us today; on the table you can see 2 kinds of stuffing, brussels sprouts, bread, plus mashed potatoes and the turkey on the sideboard. We had a lovely lovely meal and a really good time. I love consignment shops, thrift stores, second hand shops, whatever. 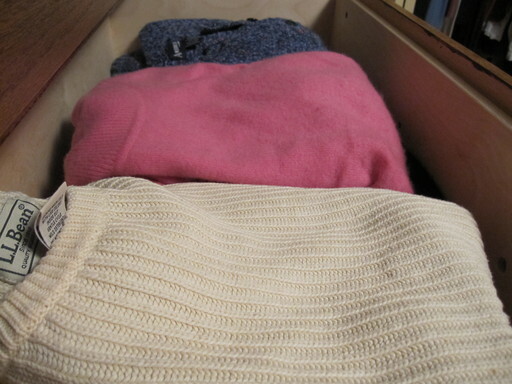 I was at one today and it was mostly pretty high-end nice stuff (I got a Jil Sander sweater for cheap. And yes, the shop employee had to point that out to me and explain its significance. I just liked the sweater). 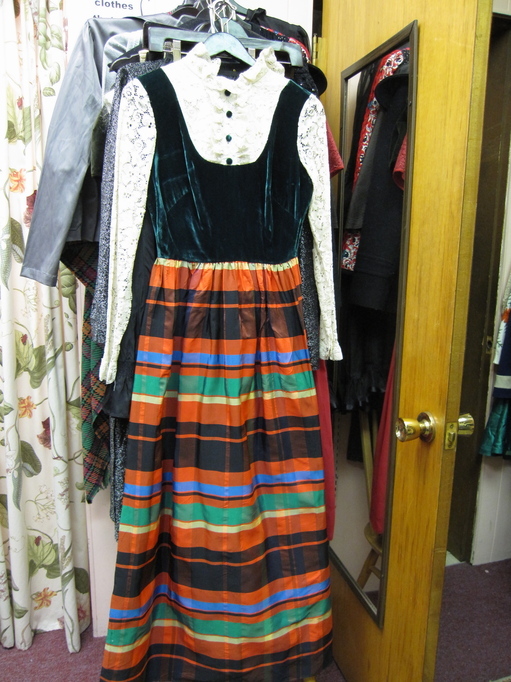 Anyway, in the vintage section at the back, I spotted this gem of a dress. The green velvet with lace sleeves top half is amusing enough, but I could see someone getting away with it. It’s really the skirt that makes it extra special. It was bad enough when the purple commuter trained added the orange trim that advertises WiFi on the car (can’t you people get away from your computer ever? Read a book for Christ’s sake! ), but now we’ve got TD Bank (not Banknorth anymore) taking over an entire car. 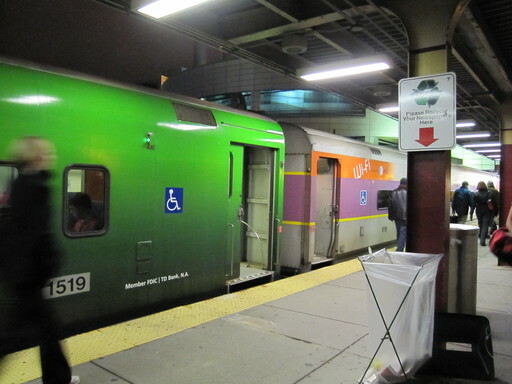 When the T’s train cars no longer follow the sacred color code, what can you count on? to finally give in and pack away the shorts and tank tops, and pull out the sweaters and corduroys. foo. 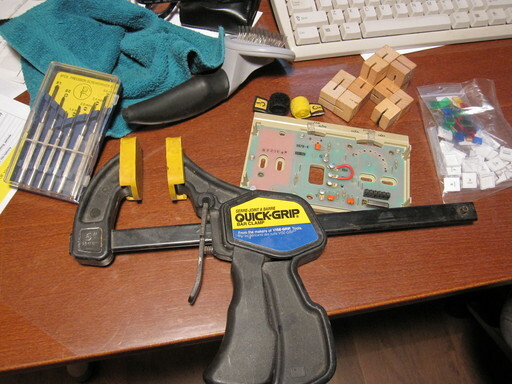 a quick search of Doug’s desk yielded the following items: leftover buttons from installing the new light switches, velcro wire holders, a clamp, a wooden puzzle, a washcloth a set of screwdrivers, a cat brush, and a disembodied thermostat. None of which are all that surprising, if you know Doug. one of the fun things about working at the museum is that if you need to get the creative juices flowing or just have a change of pace for your brain, you never have to go far. The Art Studio is a good place to go, for example. 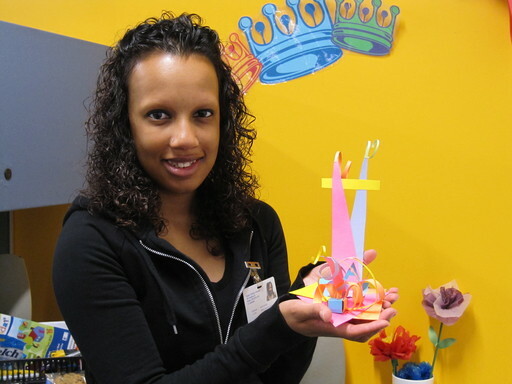 This is our Birthday Party Guru, Amanda, holding up a paper sculpture that another employee made for her. 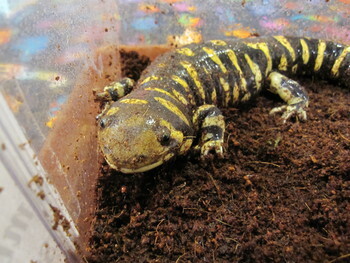 This is a salamander. Salamanders are amphibians, like frogs, but people often think they are lizards. 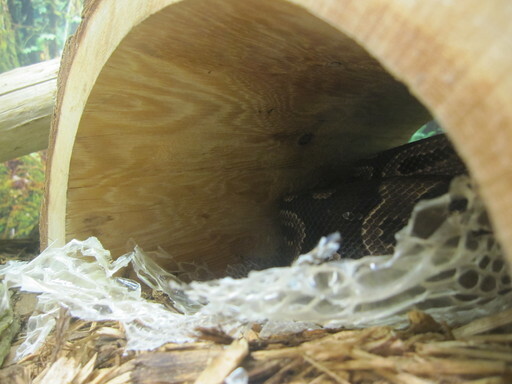 Among other differences, salamanders do not have scales, like reptiles.